The Google Doodle changes every day. Yesterday, when I opened my Google Chrome home page I saw that the Google Doodle was composed of birthday cakes. I thought “Well, isn’t that a coincidence, today’s my birthday.” Well, there are no coincidences with Google. When my mouse passed over the Doodle, I got a birthday greeting. Of course, Google knows my birthday. And pretty much everything else about me. Yikes! I can’t complain, because I’ve willingly given Google my information so that I can use its services. I haven’t told Google my cell phone number, yet. I’m sure Google knows that, too, though. I checked my husband’s Google home page yesterday, and his Google Doodle was different from mine, the one for the ordinary non-birthday people. Usually, I don’t pay that much attention to the Doodle except when there’s a fuss over the Doodle subject. Google sometimes features obscure and controversial figures rather than major events and holidays. I guess that’s a way to keep things interesting. It got my attention! Next year, when I’m expecting a birthday greeting from Google, Google may ignore me! To learn more about Google Doodles, check out this blog post from my friend Planetjan. About Google Doodles from Planetjan. One change I’m dreading is the loss of the Picasa photo editing website. Google is retiring it in spring 2016. Google has every right to do so, especially since Picasa users pay nothing for its use, but it’s still a bitter blow. A lot of Picasa users don’t even know it’s going bye-bye yet, although apparently people knew it was coming a while ago. Google is focusing on Google Photos, which is quite different from Picasa and not as useful for my needs. Supposedly, we’ll still be able to use Picasa, if we already have it installed on our desktops, until it dies out from bugs and glitches. We’ll see. Google Photos is a nice photo storage system, but not a good replacement as an editing and design tool. In Google Photos, you can upload all of your photos to the cloud for free in a small version, which is probably large enough for most uses, and pay if you need to upload large files when you exceed your large-size quota. I’m transferring all of my large-sized photos to external hard drives. My son gave me the heads up on Friday night on Picasa’s impending demise, and I was shocked. I was working on my taxes, so I was already in a foul mood, and I quickly went into mourning. I taped a black ribbon to my monitor. I searched the web (using the damnable Google) to find an alternative. I use Photoshop a lot, but Picasa is just so darned easy and could do so much. It has lots of design and editing tools and is great for organizing my photos into files and albums. It will still be usable on your desktop, if you already have it, but won’t be getting any support from Google. I used Picasa to edit this photograph that I took of Harvest, a cat that was available for adoption at Wayside Waifs in Kansas City, Missouri. Using Picasa, I could easy crop this photo to the pixel size and aspect required for uploading to the website. Also using Picasa, I could add my initials so that the shelter administrators would know who took the photo if they needed a larger size. Auto contrast, auto color, straightening and sharpening were Picasa tools I often used. For more than five years, I’ve been using Picasa to edit the photographs I take of adoptable cats for an animal shelter’s website in Kansas City, Missouri. It makes it so easy to tag the photo with the cat’s name, attach a watermark and be able to find the photos later. As far as I can tell, you can’t tag photos in Google Photos. Face recognition will not work with cats. Because of the ease of use and because it was free, Picasa has been a godsend for other volunteer cat photographers who aren’t photo editors. Now, we’re scrambling to find an alternative. Here’s a Hibiscus poster (below) that I created using Picasa. I used the posterize function to transform my hibiscus photograph, I used the add a border function to add the initial two-toned border, created a wider border with the collage tool, then added another two-tone border. 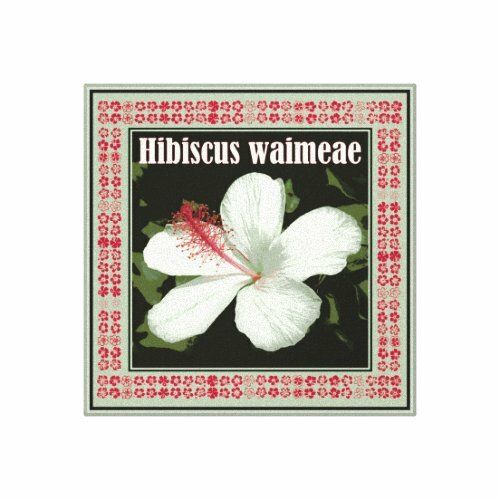 I added the text of Hibiscus waimeae above the flower and added a band of an hibiscus font that I uploaded, which automatically transferred into Picasa when I downloaded it. Picasa allowed color matching so that I could match the greens and reds of the hibiscus photo to the font and background colors. Though there were many steps, it was easy. I don’t relish learning a new program to do these functions. If you know of an easy, inexpensive alternative for downloading, editing and organizing photos, let me know in the comments. I’m checking into FastStone.org. Anyone have any experience with that program? At first I thought the lines on the screen were a real cobweb, not a web of cracks. I was in disbelief and then angry with myself. I’ve gotten very attached to that phone. It sleeps next to me (actually it never sleeps) charging on my bedside table. This is a re-enactment the next morning of where I found my phone at a Taos, New Mexico, motel. My phone had fallen out of my handbag as I ran to escape the rain. I didn’t miss my phone until I decided to charge it an hour later. Then I couldn’t find it. My friend Lynn and I looked for hours, not sure where I had lost it. Later, I found it here, on the railing to the stairs. It was wet, but it still worked. 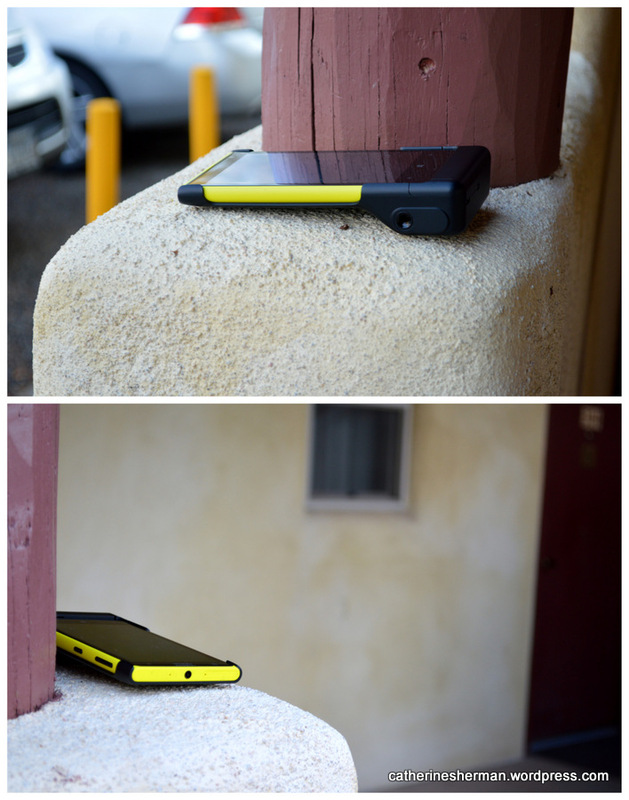 This is not my cell phone’s first escape attempt. It leaped from my purse in Taos, New Mexico, as my friend Lynn and I were rushing from the car to the covered portico of our hotel in the rain after dinner at a lovely restaurant on Easter. It was our last night in New Mexico of our week-long trip. I wondered aloud what I would leave behind on this trip. There’s always something that goes astray. A toothbrush, some shoes, hat, gloves, scarf, jacket, a nightgown, a book. I didn’t realize that I’d already lost something — my phone! I discovered that the little dickens had gotten away when I looked for it so I could charge it. Lynn and I searched everywhere in the room, the parking lot, the car, the streets, even went back to the restaurant — twice — just before closing. Lynn called my phone five or more times, and we never heard it ringing. (Thanks, Lynn!) I roamed the parking lot in the rain, I talked to the desk clerk. Finally, we gave up. I was already on the fourth stage of grief, when I decided to give the search one more effort. I remembered that I’d found a couple of phones in the past, one I had given to the desk clerk of our motel (it turned out to be hers), and the other I had picked up from the street and set on the curb. Maybe someone had placed my phone in a safer place? Minutes later I saw it, sitting on a stair post, sprinkled with rain drops but still in working order. I was so relieved. How quickly we get dependent on these devices. My grandparents had a party line phone, which was shared with several neighbors. I was able to get my screen replaced locally. It wasn’t cheap. I obviously need a case for it. 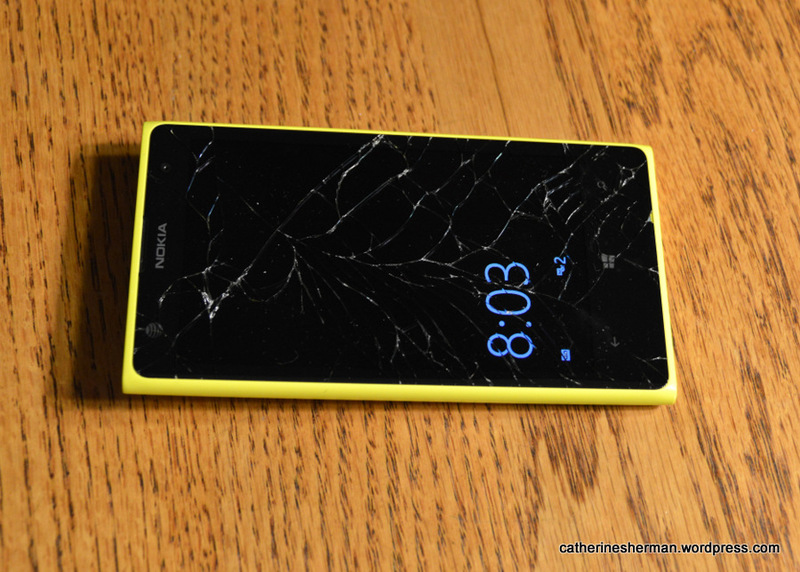 A friend demonstrated the protective qualities of his case by dropping his phone on the floor. No damage. As I looked at my shattered screen, this song came to mind. Now I can’t get it out of my head. Here a cell phone takes the #ALSIceBucketChallenge. I can confirm from personal experience that it’s darned cold! Writing the check was much easier. Paying for the phone screen repair is also going to be a shock. 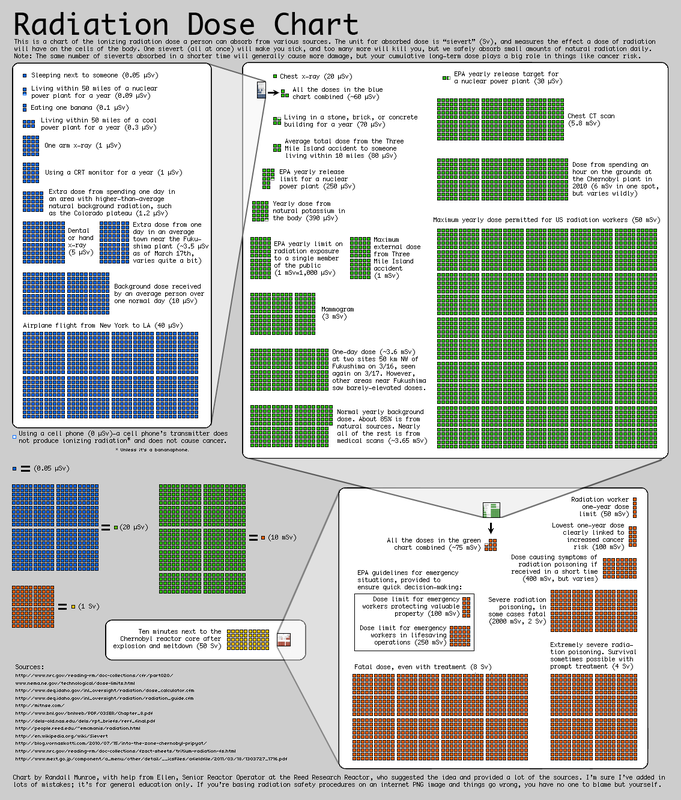 This is a chart of the ionizing dose of radiation that a person can absorb from various sources, including the amount we receive from sleeping next to someone, eating a banana, getting a chest x-ray, sitting in front of a computer screen for a year, an airplane trip from New York to California and the radiation from the destroyed Fukushima I Nuclear Power Plant in Japan, after the earthquake and tsunami. Click on the chart twice to get a larger view. Here’s a post explaining the chart and its origins from its designer. It also includes information on how to help people in Japan, who suffering from the devastating effects of the earthquake and tsunami as well as those who had to be evacuated from the area around the damaged nuclear reactors. If we didn't have electricity, how could we have fabulous lighting displays like this! After a day of temperatures in the high 60s on Friday, a thunderstorm tore through our city during the night. We woke to freezing temperatures and no electricity. Candles seem romantic, until you have to rely on them for your lighting. The winds were 60 to 80 miles an hour and tore down trees and knocked down power lines, including a couple of poles on a nearby street. Some people said they thought their houses were going to blow over. How did I sleep through that? Our house was unscathed, except that our bird feeder was flung into the backyard and smashed. How do the birds hang on in the trees? Almost 50,000 houses lost power in the area. Strangely, only half of the houses in my subdivision were affected — all of those just east of mine were fine. My neighbor’s Santa Claus on the motorcycle was (above) still burning bright when we left the house to find a warm, illuminated place to hang out. I’m seriously addicted to electricity. Every blackout, I have new appreciation for our ancestors living life in the cold and mostly dark. We were only without electricity for a day, but it seemed much longer. I’m grateful for the KCP&L workmen who worked all day on the problem. When I was finally able to turn on my computer, it rasped and growled for half an hour, probably angry to be so rudely jolted. I hear ya! 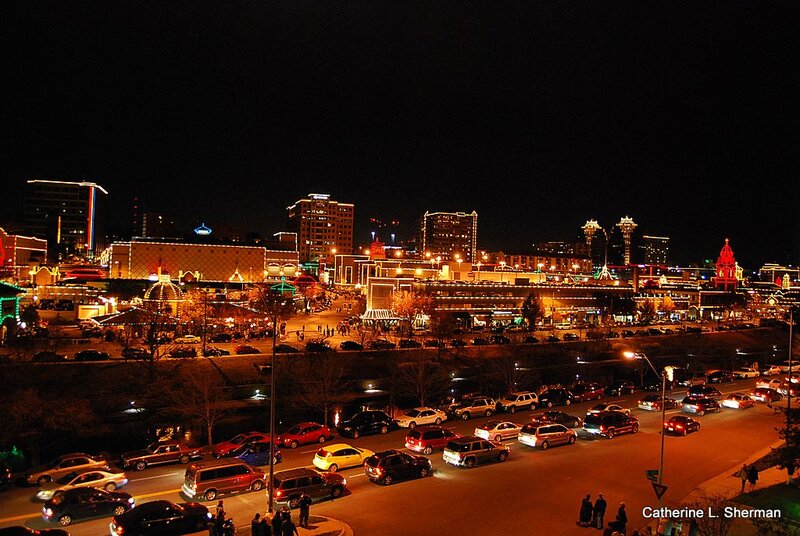 "American Idol" winner David Cook switched on the lights for the 79th annual lighting ceremony on the Country Club Plaza in Kansas City on Thanksgiving 2008. We have the genius of Nikola Tesla to thank for the lighting system itself. Tesla "shed light over the face of the earth." Forget Albert Einstein. Forget Thomas Edison. It’s Nikola Tesla you need to thank for many of the revolutionary contributions to physics we use in our daily life. I’m talking about almost everything you use in your daily life that requires electricity, including the current that runs your television, the lights that brighten your home and even the remote control that changes the channel on your television set so you can get that channel where American Idol” contestants are competing. Tesla amazed the world when his AC electrical system lit up the World Columbian Exposition in Chicago in 1893. He beat out Edison for the contract. The world was forever changed. His accomplishments and contributions are so great that I can’t list them all, but among them are wireless communication (radio), AC current, Tesla coil, Tesla turbine, induction motor and rotating magnetic field. He contributed to the establishment of robotics, remote control, radar and computer science, and to the expansion of ballistics, nuclear physics and theoretical physics. He contributed to the understanding of cosmic rays and x-rays. Tesla was also a model of what we see as the mad scientist — conducting electrifying demonstrations and designing “death” or “peace” rays. He had many eccentric personal habits. He was obsessed about cleanliness and hygiene, needed everything to be in threes and hated round objects. He loathed jewelry, particularly pearl earrings, and hated touching any hair but his own. He was enraptured with pigeons and wasn’t social, but was a good friend of Mark Twain’s and got along with many people. 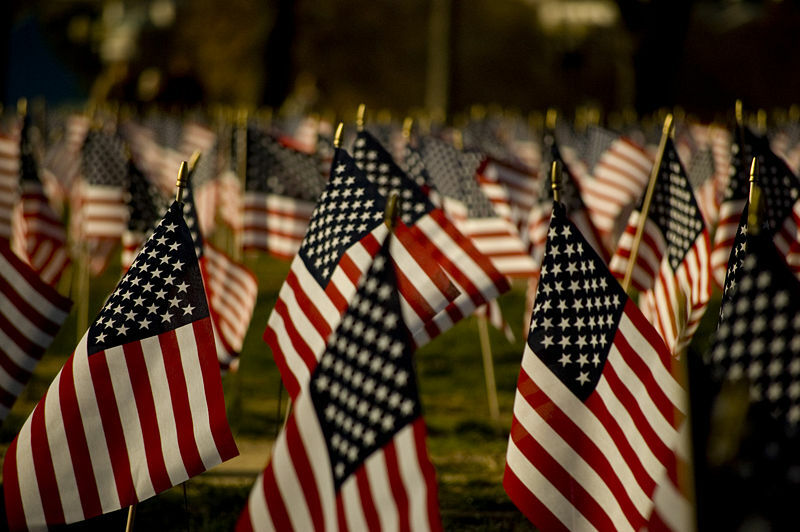 He was fluent in eight languages and had a photographic memory. He feuded with other famous inventors, such as Edison, who was an early employer, and battled with Guglielmo Marconi over credit for the radio. In 1943, the United States Supreme Court credited Tesla as being the inventor of the radio. Tesla was once one of the most highly regarded and famed scientists in the world, but now he has slipped into obscurity. Occasionally, Tesla pops back into the public eye. In the recent movie “The Prestige,” David Bowie plays Tesla as a great, if eccentric, inventor. The rock band Tesla named itself after the inventor and is among those dedicated to restoring credit to this great scientist. Despite all of Tesla’s patents, he was unconcerned with money and died penniless. Although he was almost a hermit in later life, he was honored in a funeral ceremony at the Cathedral of St. John the Divine in Manhattan. J. Edgar Hoover, head of the Federal Bureau of Investigation declared Tesla’s papers top-secret, because of possible weapons he may have designed. You’ve got to check out these websites and the video about Tesla. A 100 percent electric car named after Nikola Tesla. Here are some of the planks of my platform: Free yoga classes for everyone, a hummingbird feeder installed on every home, mandatory viewing of Jeopardy (you’ll love it! ), and free delivery of my blog to your inbox every time it’s posted. (Hey, you can get that now.) I’m quite serious that we should all take care of our planet home. It’s the only planet we’ve got, and as far as I know it’s the only one with chocolate. Vote for me!